A Liberal's Libretto: Brewer is out. 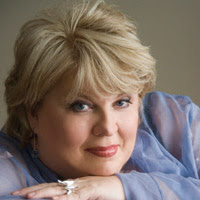 Dramatic soprano Christine Brewer, who made her Met debut in 2003 singing the title role in Ariadne auf Naxos, is the cover story for April's OperaNews (April's online edition is not yet available). The article, titled "The Divine Miss B", is publicizing her Brünnhilde in both the first and second cycle's performances of Die Walküre, Siegfried and Götterdämmerung, as well as a single performance of Die Walküre on April 6. The performances would have marked the first time that Brewer took part in staged performances of the operas. No such luck. Salon is reporting that Brewer has withdrawn from the production due to the flare up of a previous knee injury. The knee injury was allegedly aggravated by the raked stage during rehearsals and now requires the 53-year-old soprano to undergo surgery. It's really too bad. I was hoping that we would have been able to see our newest Brünnhilde "it-girl" in action.